Have any of you had any experience building and using one for SOTA? I wonder how effective the 500mw will be. Although I note that last summer I was in QSO with someone in Kent when I was on CE-005 using 80m CW and he was only using 50mw and remained 53-55 throughout the QSO. 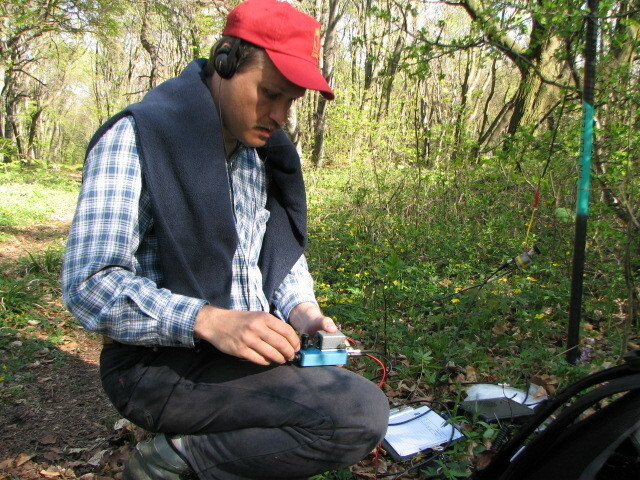 Look forward to any experiences regarding building or use of QRPp for SOTA actvations. I did use once the RockMite built by HA7SZA. It works, but you will need chasers with good ears HI. in my opinion is the lack of frequency agility. ok, if you ordered your new trx . an output 0-10watt and a vfo for tuning over the whole 40m-band. but i also like these ultra-small portable transceivers like the rockmite. its better to use efficient antennas. Under good propagation its possible to work plenty of chasers in cw across europe. also with only 1watt. Yes I thought of some others but with the Rock Mite at about 20-25 Euros at the moment (inc. postage ordered direct from the US), it’s worth trying. 20-25 Euros , wow , its worth a try ! the first qso with a homebrew transceiver is something very special !! I have an 80m PSK Warbler I built from a Small Wonder Labs kit. Excellent PCB and kit and very easy to build. Mine worked 1st time of course Dave Benson is a fantastic chap to deal with and I heartily recommend his company. I have a simple PSK beacon part built to drive it, I just need to get on and finish it… PSK TX is easy, the RX is a bit harder. I’m looking for something light to run the RX software. The PSK warbler is QRO by QRPp standards, upto 4W. I think mine was about 2.5W but I might tweak the coils at tadge to get the output up. Also, the G-QRP club are selling off Norcal-20 kits if they haven’t already gone. The details are in the latest Sprat. Ah, nothing beats the feeling of having contacts on a rig you built yourself. If you have fixed 40 m band, you can still try to optimize the propagation conditions by choosing the UTC carefully. For example with the VOAProp by G4ILO http://www.g4ilo.com/voaprop.html . Check also space wx, contest calendar and other activations before your activation. Self spotting will of course help, though I have not done that so far myself. For short distance QSOs 500 mW should be fine. On F/AB I have copied some other activators at 100 - 300 km distance before connecting the antenna to the radio.